Come home to the luxurious and sophisticated lifestyle at Victoria’s prestigious Bayview One. This meticulously maintained suite features custom designer drapes, gas cooktop, granite countertops and premium appliances. The contemporary bright open concept living space and kitchen is ideal for entertaining friends and family. Separated by the main living area, the two spacious master bedrooms offer privacy and their own luxurious 5 piece ensuites. Enjoy your morning coffee on the sunny, oversized southeast facing deck. 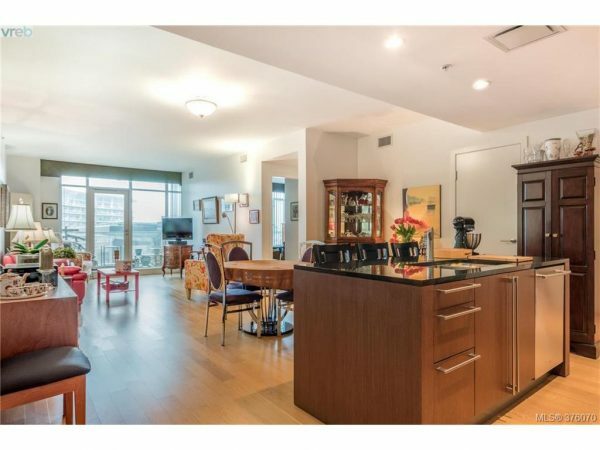 Designed for the most discerning resident, this premier property offers outstanding amenities steps from the city’s finest attractions, restaurants and the Songhees waterfront. Pet and rental friendly.